Today my son asked me to fetch him some playdough to play. The problem was, I hadn’t any at home and getting to the store was kind of difficult. So, lucky me, I remembered a Pinterest posting about a recipe to make your own play dough and I thought to give it a try. It worked out wonderful! As a bonus, I don’t have to worry so much that my youngest would eat some, as she usually does with the store-bought play dough. It is really easy and fast. I made mine in about 20 minutes. And you probably have all the ingredients in your house like I did, too. 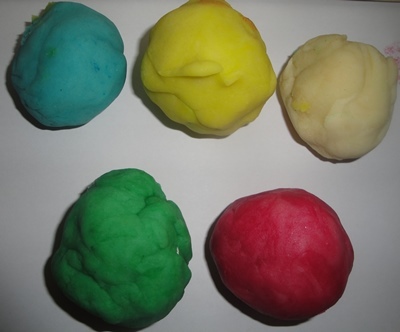 So here is how to easily make your own playdough for your kids to have some fun with. In a saucepan, combine the flour, salt, and cream of tartar. Add the water and oil and mix well. Turn the heat on, and let the mixture get warm over low to medium heat. Stir for about 4-5 minutes, until you have an elastic mixture. Now let it cool down a little so you can handle the dough and divide it into as many parts as you want. Mix in the food coloring of choice. Let it cool as much as necessary until your kids can handle the dough. That takes about 5-10 minutes. That’s it! The homemade playdough is ready for use! 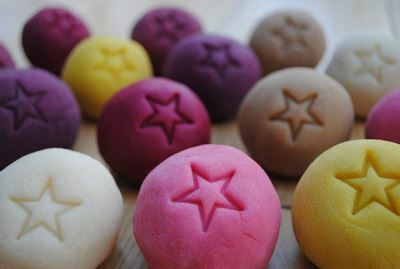 Our very own homemade play dough! That was easy, right? 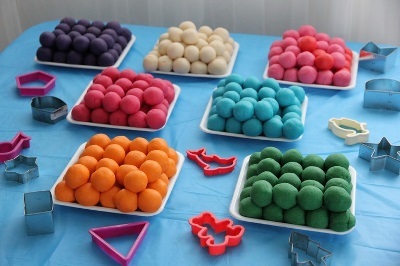 Never run out of play dough again and no worries about chemicals? And save money, too? Well, I for one have found a keeper recipe! Next time I will let my kids be involved in the procedure. They can easily help with the ingredients and later on with mixing the food coloring into the dough. This should double the fun for sure since they are crazy about helping out in the kitchen every single time. So the only thing left to do is to go and have some quality time with your children. Cause that is what it’s all about, isn’t it? And you know what? They would make a great gift, too!